Shell fuelled human rights abuses in Nigeria by paying huge contracts to armed militants, according to a new report published by Platform and a coalition of NGOs. ‘Counting the Cost’ implicates Shell in cases of serious violence in Nigeria’s oil-rich Niger Delta region from 2000 to 2010. The report uncovers how Shell’s routine payments to armed militants exacerbated conflicts, in one case leading to the destruction of Rumuekpe town where it is estimated that at least 60 people were killed. According to Platform’s report, Shell continues to rely on Nigerian government forces who have perpetrated systematic human rights abuses against local residents, including unlawful killings, torture and cruel, inhumane and degrading treatment. The full report is available on the groups website. A shorter, 9-page summary of the report is also available. 1. Platform has heard testimony and seen contracts that implicate Shell in regularly assisting armed militants with lucrative payments. 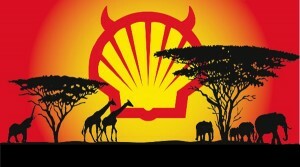 In one case in 2010, Shell is alleged to have transferred over $159,000 to a group credibly linked to militia violence. 2. 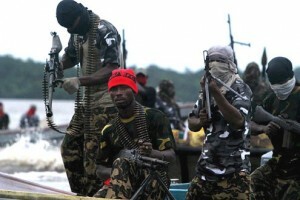 Shell admits that from 2006 onwards, the company paid thousands of dollars every month to armed militants in the town of Rumuekpe, in the full knowledge that the money was used to sustain three years of conflict. 3. A company manager exposes structural problems with Shell’s ‘community development’ programme, claiming that “the money is not going into the rightful hands,” and that poor community engagement caused Shell to shut down a third of its oil production in August 2011 after 12 oil spills in the Adibawa area. NGOs from the UK, Netherlands and Nigeria are demanding that Shell put an end to over five decades of social and environmental devastation and break its close ties with government forces and other armed groups responsible for abuses. Platform’s report also condemns the Nigerian government for failing to protect the rights of its citizens and urges President Goodluck Jonathan to find political solutions to the Delta crisis instead of military responses. Ben Amunwa from Platform said: “This research sheds new light on Shell’s active role in human rights abuses during a decade of terrible violence in the Niger Delta. Shell claims it has nothing to do with the crisis, but the company is involved in widespread abuses and militarisation. “Shell’s divisive practices have led to daily human rights violations in the Niger Delta,” said Geert Ritsema from Friends of the Earth Netherlands. “Many of the victims have no access to justice and cannot afford to take the oil giant to court. Lawsuits in Nigeria can take decades to resolve and the remedies are often inadequate. • The UN issued a damning report on the ecological impact of oil spills in Ogoni, many of which are from Shell’s facilities. The UN Environment Programme found that Shell had operated in Nigeria below international standards and the company had certified heavily contaminated sites as “clean”. • Shell admitted liability for two massive oil spills in the Ogoni community of Bodo in 2008 to 2009 after a lawsuit filed in London. The company now faces a compensation payout estimated at $410 million and could be forced to clean up the damage. • Court hearings in The Hague where a lawsuit by Friends of Earth and four Nigerian victims of Shell oil spills is ongoing.